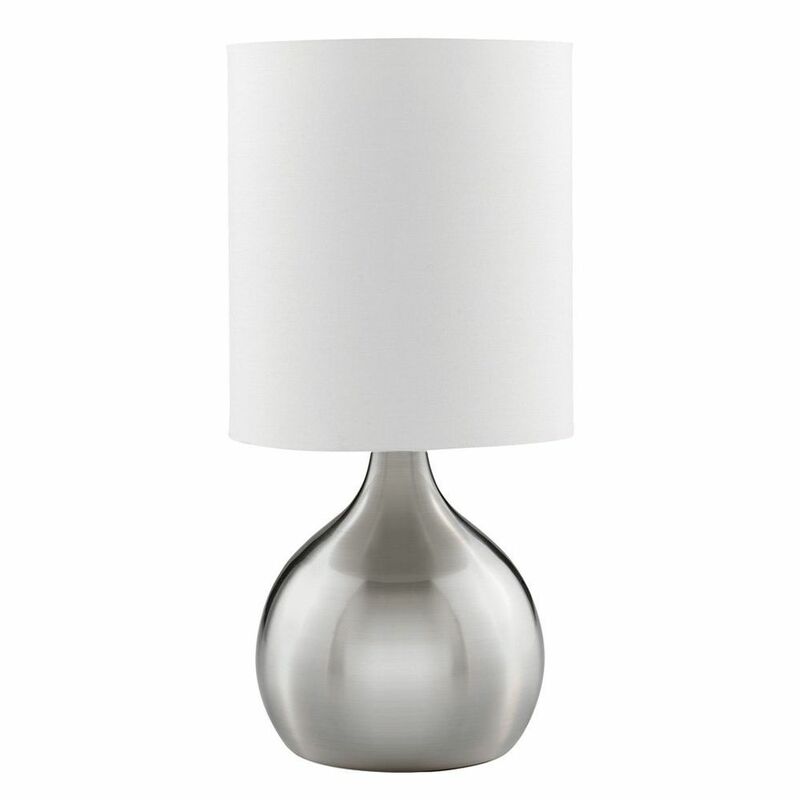 Contemporary and sleek bedside table lamp complete with white fabric shade. Satin chrome finish as opposed to polished meaning no finger marks! Three different light levels operated by simply touching the base of lamp. Requires 1 x 40watt SES (E14) bulb - not included.